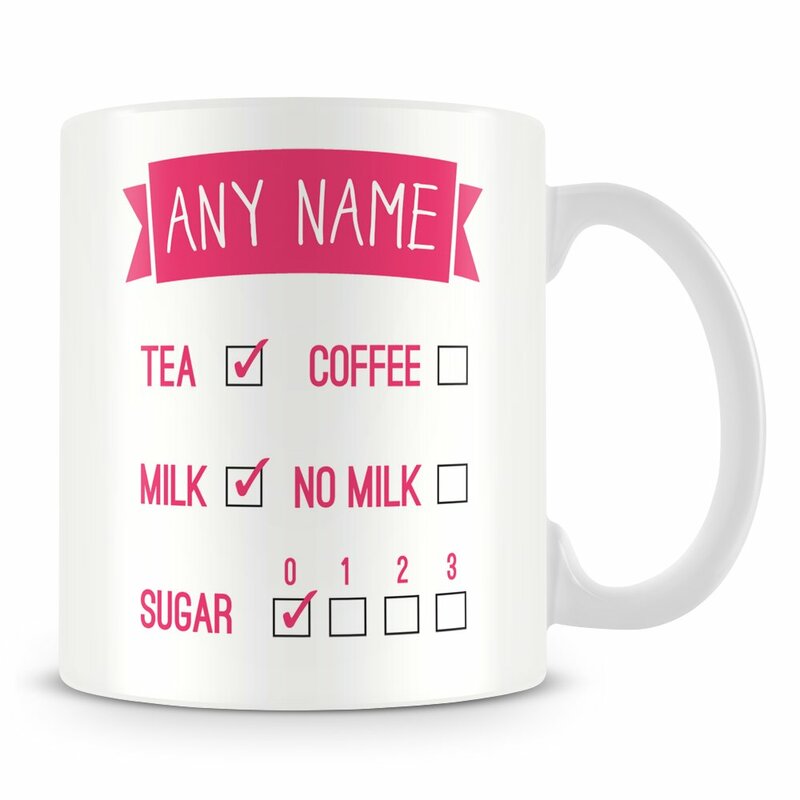 Personalised mugs – you can customise these mugs with name and choice of drink. Our ceramic mugs are 100% dishwasher safe at temperatures up to 45°C. However, hand washing is advised to keep the mug looking its best. We use high quality original inks for full-colour, photographic-quality image that will not deteriorate. Mugs are packaged in a polystyrene mug mailer and outer cardboard box for extra protection.